Are your carpets stained or simply looking dirty and dingy? If so, our carpet cleaner extractor is the perfect tool to get the job done. This equipment rental is available for as little as one hour or as long as a month, depending on your needs. 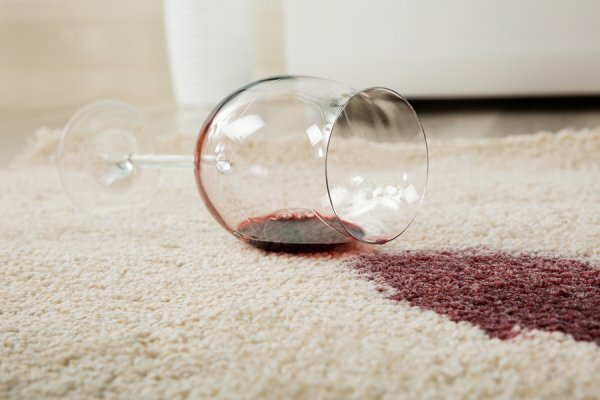 Refresh your carpets and remove stains with this handy, easy-to-use cleaning tool. To use the carpet extractor, mix an approved cleaning solution according to the instructions on the bottle and add the mixture to the bucket. Adding two ounces of defoamer will reduce excessive foaming. Turn the machine to the “carpet” setting and turn it on. Move across the carpet in strokes, releasing the “activate” button about six inches from the end of each stroke. Empty the bucket and repeat the process as needed. A Tool Shed makes it possible for you to complete your home improvement checklist without investing in expensive gear with our affordable equipment rentals. When you need tools in San Jose for your project, contact us at (800) 286-6574. Unlike moving dollies, tow dollies are only used for moving vehicles. It’s connected to the back of the towing vehicle, and it only lifts up the front wheels of the vehicle being towed. When you visit the rental equipment store, a staff member will give you all the information you need to use a tow dolly safely and in accordance with the store’s policies. For example, the vehicle you’re towing and the vehicle you’re driving will need to meet certain weight specifications. 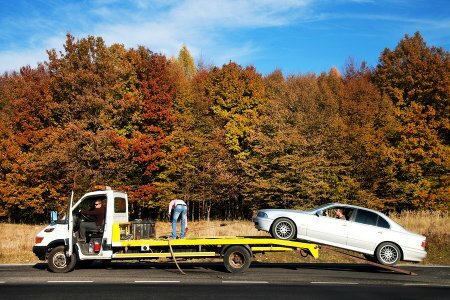 Generally, the towing vehicle must weigh at least 1,670 pounds more than the towed vehicle. The vehicle must also have a two-inch receiver hitch rated for at least 7,000 pounds. In addition, you must exercise extreme caution while driving and parking. You will be unable to back up while the tow dolly is connected, as this could damage both vehicles. You can find tow dollies available for rent at A Tool Shed—with no added environmental fees or sales tax! Call our team at (800) 286-6574 to inquire about renting tools for your car in San Jose. Once you get into the right rhythm, you’ll find that installing carpet on stairs is easier than you may have expected. It only requires a few specialized tools, which you could rent or purchase used. You’ll need a carpet stair tool, an electric tacker, a carpet knee kicker, and a hammer. Watch this featured video to see a simple, step-by-step demonstration of installing carpet on stairs. This home improvement expert shows you the proper way to tack down the carpet padding, and how to position the carpet correctly with the kicker and stair tool. A Tool Shed offers high-quality tools for rent in San Jose, including carpet trimmers, stair tools, and knee kickers . Call us at (800) 286-6574 with your questions about renting tools. Moving day is tough enough without having to deal with a thrown-out back and sore arms. Make things easier on yourself by visiting a rental equipment shop for a moving dolly or two. If you’re moving heavy items up or down stairs, choose a dolly with inflatable wheels. Solid wheels work well for rolling heavy items on even surfaces. It’s a good idea to wear a pair of sturdy work gloves and steel-toed safety shoes when moving heavy items with a dolly. Once you’ve loaded up the dolly, make sure there’s a clear path for it to travel. If it’s a two-wheeled dolly, grasp the handles and tip it back toward your body. At the same time, place a foot on the crossbar to help it move. Push the dolly to its destination—never try to pull it. When you’ve reached the moving van, put a foot on the crossbar while lowering the dolly. Only stack a few boxes at a time on your hand truck. The stack shouldn’t be so tall that you have trouble seeing over the top. Also, make sure the box on the top is resting against the vertical component of the dolly. Otherwise, it will slide backward when you move the dolly. Place the heaviest box on the bottom of the stack. Moving appliances is far easier when you have a hand truck. Disconnect the appliance from its power source and slide it away from the wall. Pick up the cords and wires, and tape them to the appliance to keep them off the floor. Load the appliance onto the dolly with the rear of the appliance facing you and the dolly. This distributes the weight more evenly so it’s easier to move. It also minimizes the risk of scratching the face of the appliance. Remember to secure this heavy load with a strap ! There’s no need to purchase a dolly when you’ll only use it occasionally. Instead, head over to A Tool Shed, where we offer great deals on tools and equipment for rent in San Jose. Give us a call at (800) 286-6574. 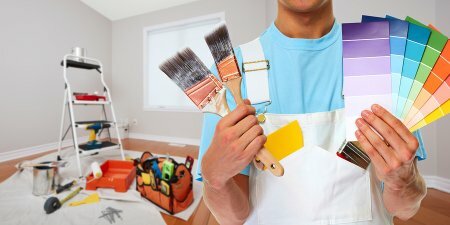 If you walk into a beautifully remodeled, newly painted home, chances are you won’t think, “Wow, what a great prep job!” Prepping the walls is definitely not the most glamorous aspect of remodeling. But without the proper prep, the finished results won’t look nearly as spectacular. Take more time than you think you’ll need to prepare your walls before painting, and make sure you have the right rental equipment and tools on hand before getting started. Protect the floor and furniture. If you’re working in a small room, you might want to move all of the furniture out so you won’t trip over it. Otherwise, move all furniture to the center of the room, and cover it with plastic tarps. Cover the floor with canvas drop cloths. Protect the trim with painter’s tape, unless you’ll also be painting the trim. Protect the hardware and light fixtures. Remove the cover plates from the electrical outlets and light switches. Put the screws in a sealable bag so you don’t lose any of them. Cover the switches with painter’s tape. Next, use small plastic bags and painter’s tape to protect the doorknobs. Even if you aren’t painting the doors, droplets of paint may splatter on the hardware. Scrape old paint and patch holes. Check each wall carefully for flaking paint, and scrape it off with a putty knife. You don’t need to remove all of the existing paint—just the loose flakes. Then, use your putty knife to apply spackling paste to any holes in the wall. Smooth it with the putty knife and let it dry. Then, sand the repaired areas until they are perfectly smooth. Use a clean rag to wipe dust off the wall. Apply primer to repaired areas. Unless you’re painting directly on sheetrock, you won’t need to apply primer to the entire wall. Do apply primer to any areas you’ve repaired with spackling paste, however. Follow the directions on the product, and allow it to dry. Now, you’re ready to start painting! Planning a major painting project this summer? Stop by A Tool Shed for the rental equipment you need at affordable prices. You can reach a friendly staff member at (800) 286-6574 if you have any questions about our available equipment rentals in San Jose.